Hello and welcome to Lincoln! Below you will see a list of questions frequently asked by new students and answers to help you. 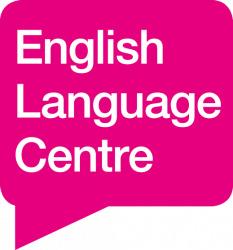 Who can use the English Language Centre services? The In-sessional support services courses are available free of charge to all international and EU students who are currently enrolled at the University of Lincoln whose first language is not English. If you are unsure whether you are eligible for these services, please contact us by email (englishlanguage@lincoln.ac.uk), providing your full name and student number. How do I register for the courses and workshops? Please visit our In-sessional Courses Page for information about the courses and how to register. How do I access one-to-one academic writing support? Visit our Drop-In page for information about this service and instructions on how to book an appointment. Our services are designed to help you improve your confidence in using English. Our students gave us some fantastic feedback on drop-in and last year’s In-sessional courses. Visit our What Our Students Say page to see their feedback. We look forward to meeting you. If you have any further questions that are not answered above, please email englishlanguage@lincoln.ac.uk and we will help you.